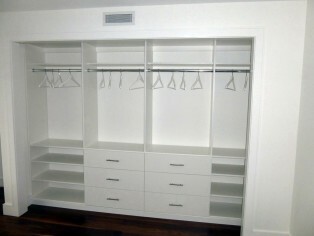 Reach-in Closets as the name implies, are closets that you reach into to access your stored items. They can be found all over the home but are often used for bedroom, front entrance and linen closets. The first was a large sized master bedroom reach in closet. The customer wanted a clean look for the interior cabinetry and decided on a white laminate finish. 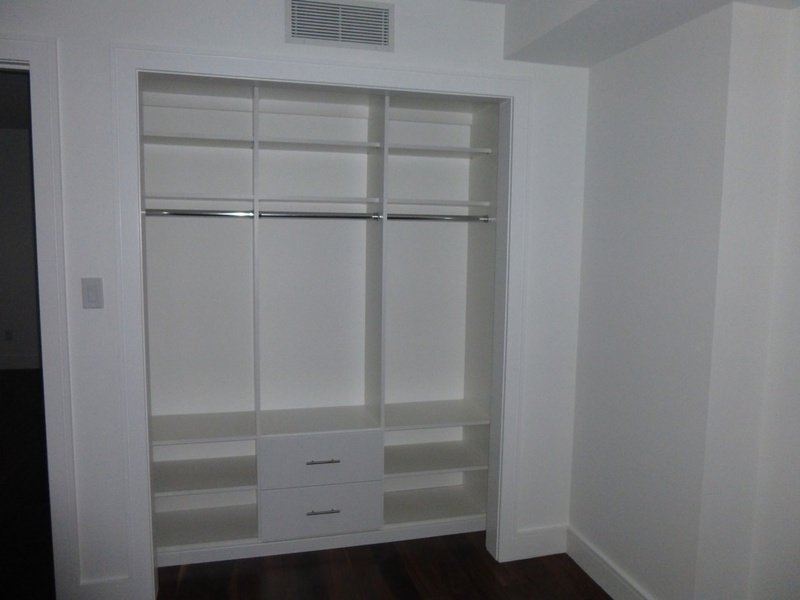 The master closet was large enough to allow the customer 2 banks of drawers, shelving and a generous amount of hanging space. Due to the width of the closet opening, sliding doors were the best choice to cover this closet. 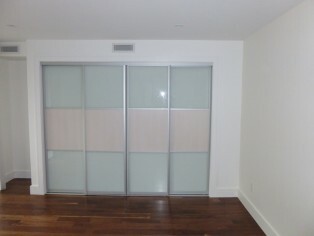 The doors have an aluminum frame (Lazuryt profile) and have panel and white back painted glass inserts. 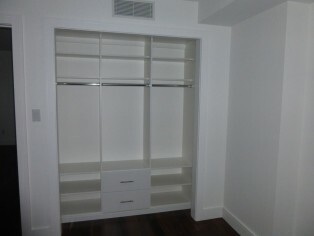 The second closet was located in the front entrance. 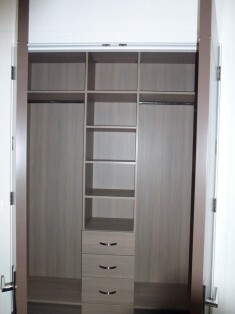 The client chose our Rijeka Oak panel for the cabinetry and again wanted a mix of drawer, shelving and hanging storage. 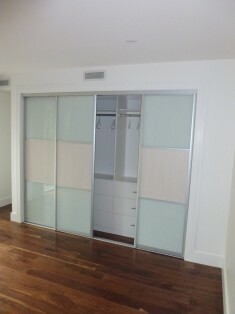 The existing hinged doors were used to cover this reach in closet. 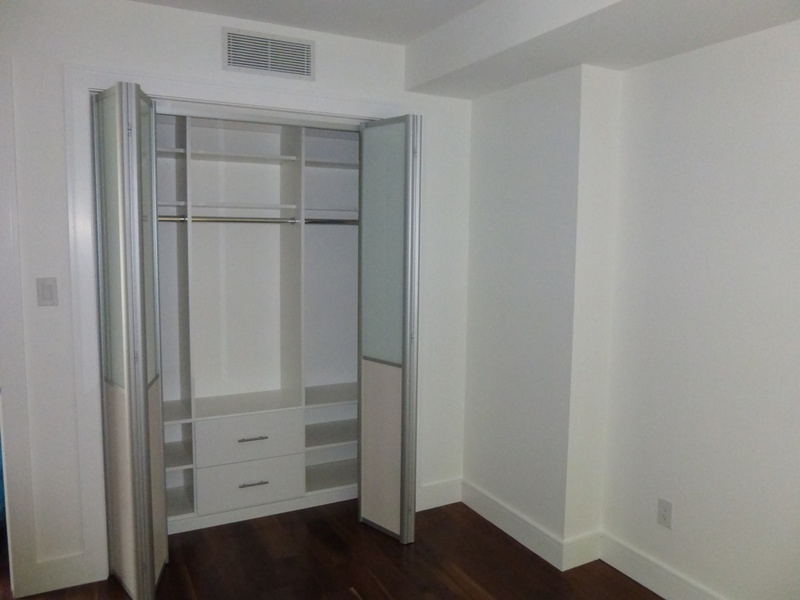 The third closet was located in a secondary bedroom which was being used as an office. Once again, this client opted for our white laminate panel for the cabinetry however they needed a door solution that allowed full access to the inside of the closet when the doors were open. 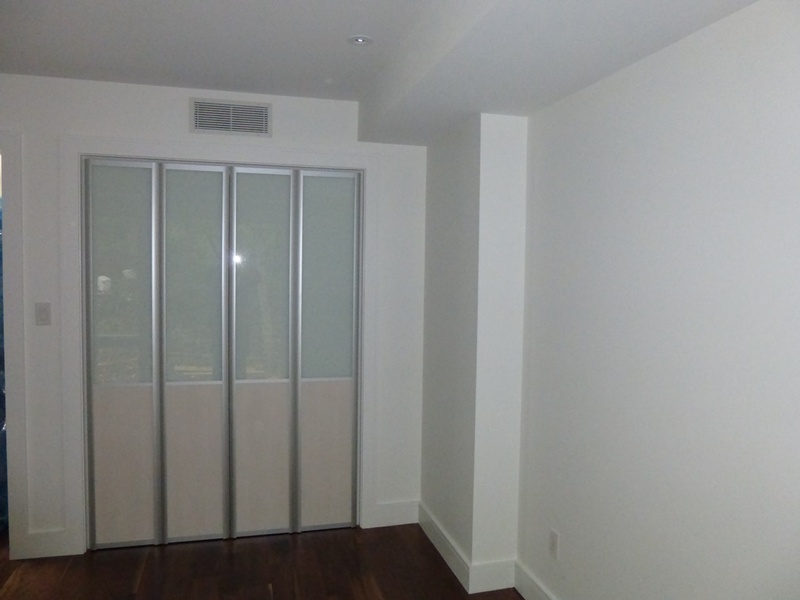 In this case, Komandor’s bi-fold door system was chosen to give an unobstructed view of the content of the closet. These doors have a similar aluminum frame and panel and back painted glass insert. 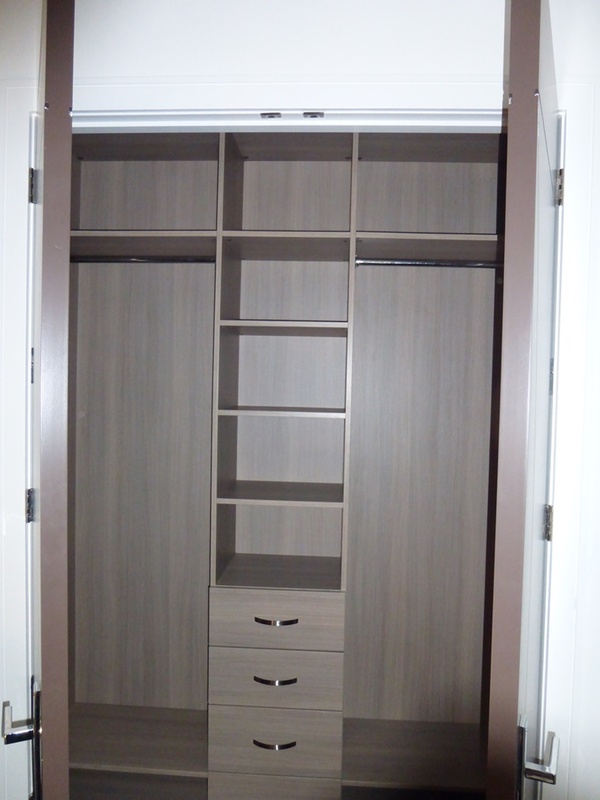 Please Contact Us if you are interested in our reach-in closets or would like more information on other Komandor products.